LASH beLONG Adhesive Dryer (1 count) is a specialized tool for drying the adhesive in order to hold the bond of a natural and synthetic eyelash. Place the adhesive dryer near lash line and gently puff a few times over newly bonded lashes. You should not hear a whistle. If you do, you are pressing/pumping too hard. Lash beLong Disposable Lash Brush / Combs 50 count helps separate and cleanse lashes prior to and during eyelash extension application. During the eyelash application, be sure to comb through lashes frequently to avoid bonding multiple lashes together or to remove excess adhesive from the lashes. The brush side can also be used when designing the perfect brow to compliment the eyelash design. 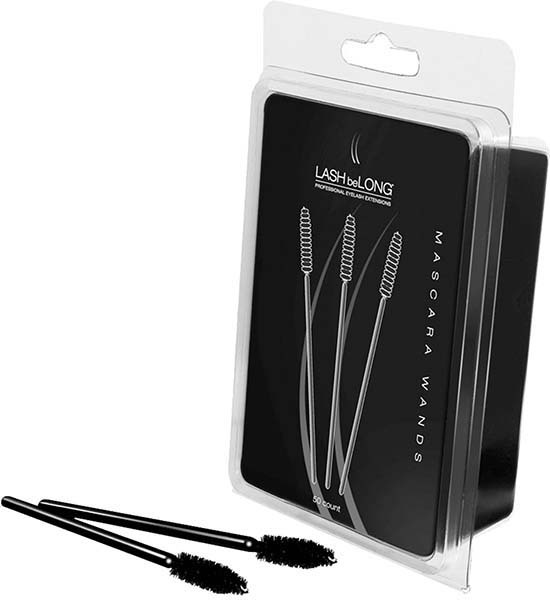 LASH beLONG Disposable Mascara Wands (50 count) help clean off any debris that the client may have on their lashes prior to the eyelash extension application. They can prevent clumping of lashes and are disposible. As a bonus, send a mascara wand home with your client for maintenance and upkeep of their new, beautiful eyelash extensions. 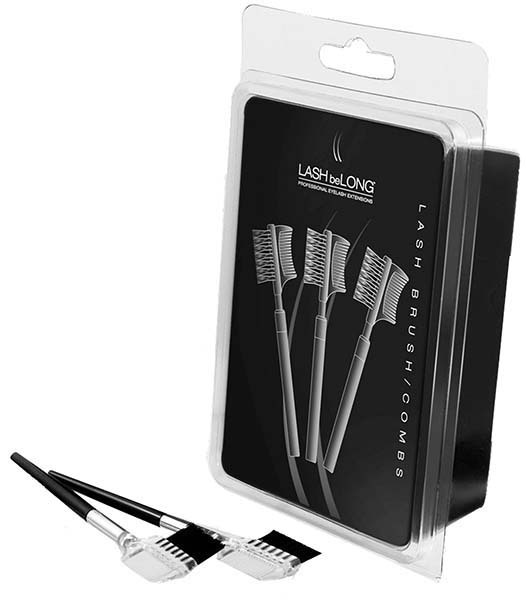 Lash beLong FINE TIP SCISSORS is made of the finest quality German Stainless Steel. Perfect for use in cutting medical tape to size for clients, for use in trimming lashes for a customized upper and lower lash design.